The Insect Museum was opened before 12 years in an association with The United Way of Baroda at Nature Park. With the help of Anand Agricultural University all the different type of insect have been preserved and with that an exhibition of information about insect is been put in museum. Along-with insects there is also a collection of Cons and Shells, Fossils and Corals. There are in all Boxes of Insects which contains different types of Butterflies, Beetles, Moth and Flies and all this boxes are maintained by the Entomology department of Krushi University. 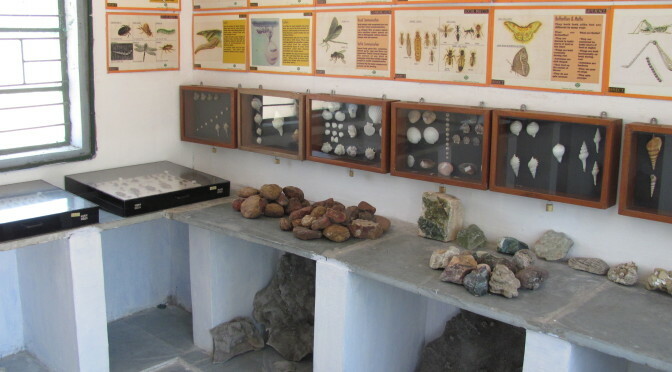 There is collection of Fossils which is being specially imported from Morocco at the Insect Museum of Nature Park. One can see such beautiful museum besides the automated weather station.